This post on how to create a sidekick for your detective is part of my How to Write a Murderously Good Mystery series. Today I’m going to talk about three character types: The Brawn, the Heart, and the Fish out of Water. Let’s go over each of these. 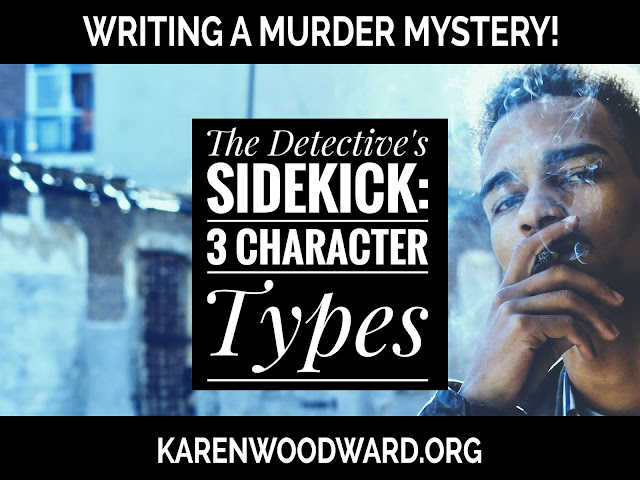 I’m not saying that the detective’s sidekick needs to be one of these character types! These are just common types I’ve come across often enough that I thought I’d mention them in the context of creating a sidekick for your detective. This character fights for the protagonist out of loyalty EVEN THOUGH he may not agree with the detective’s goals or the desirability of the consequences of the detectives actions. Compare this with The Heart (see below), a character who won’t fight with the protagonist UNLESS she thinks the consequences of the detective’s actions is ethically sound. Function: The Brawn character will get the job done without a lot of fussing over whether the actions the detective requires are ethical. Drawback: If not enough attention is paid to the possible ramifications of the detective’s actions either or both characters could seem as shallow. Examples: Arthur Hastings, John Watson, and Sergeant Troy. The Heart character is all about ethics and the endgame (as such, she’s the opposite of The Brawn). She WILL NOT do anything she believes will have ethically adverse consequences. But this doesn’t mean she’s disloyal. The Heart would sacrifice herself for the detective. Function: The Heart character forces the detective to face the possible consequences of his actions. Drawback: If too much emphasis is put on whether the detective’s actions are ethical, attention might shift away from the core story which is WHO committed the crimes and HOW they did it. Examples: Xander and Willow from Buffy the Vampire Slayer, Doctor Who’s human companion, and Kaylee on Firefly. There are many ways a character can be a fish out of water. They can find themselves in a different cultural setting, they could wander into a society where people have supernatural abilities, they could radically change their social status or they could travel in time. Just to name a few possibilities! The fish out of water often plays up the comedic elements of the mismatch. Because of their radical change of circumstances the fish out of water is often lost, lonely. On the bright side, in protecting the sidekick the detective often learns something about himself. Function: The fish out of water character gives the detective someone to protect, someone to steer through the complexities of their new environment. Also, helping the fish out of water can allow the detective to grow as a person. Drawback: At some point the fish out of water must become accustomed to her new situation and this has to happen within a reasonable amount of time. Examples: Castiel in Supernatural, Ichabod Crane in Sleepy Hollow, Teal'c in Stargate SG-1, and Simon Tam (the doctor) on Firefly. 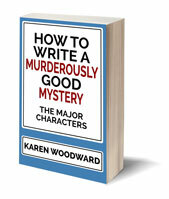 Tomorrow I’m going to take a break from my series, How to Write a Murderously Good Mystery, and talk about 10 Ways to Build a Better Character. Today I’m recommending a choose your own adventure (CYOA) book: Choose Your Own Story: The Minecraft Zombie Adventure, by John Diary. At the time I’m writing this, the ebook is on sale for $0.75! 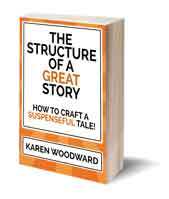 Enjoying this series, it is really helpful in outlining me first murder mystery. I am happy with me murder but need to give greater depth to my detective and sidekick. These are Mother and Daughter, daughter starts investigating but finds mother was a detective/spy before her marriage. I think they are going to swop roles, part way through. Story is set just after WW1. I would make the "sociopathic sidekick" a separate category, rather than including him/her in The Brawn. The sociopathic sidekick is more than just brawn: he is essentially a bad guy kept (mostly) in check by the protagonist. Examples: Hawk in Robert Parker's Spenser books, and Mouse in Walter Mosley's Easy Rawlins books. Interesting post, though! Thanks Tony, good point! Also, Jayne Cobb on Firefly.